The following table represents our standard listing of MLC’s produced from our stable EIA Class II X7R dielectric. In addition to the below listed standard case sizes, WCI is ideally situated to custom fabricate alternative size, thickness and/or voltage ratings per individual requirements. Should you not find what you are looking for please call the factory. Our high reliability line of class II X7R capacitors are very well suited to applications allowing for predictable changes in electrical properties given time, temperature and voltage. 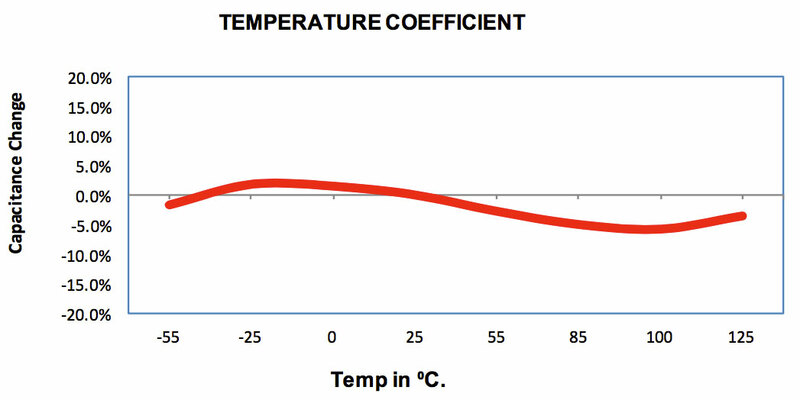 A temperature coefficient of ±15% is standard and typical results are detailed below. Common applications include aerospace, defense, pulse energy detonation and higher end consumer needs requiring a greater degree of safety/reliability (not usually found in “cots” parts). Dissipation Factor: 2.5% max at 25°C. Aging Rate: <2% per decade. 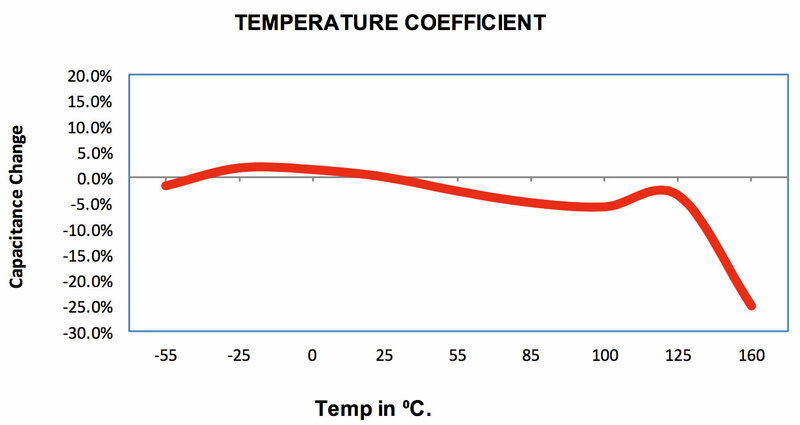 Operation Temperature Range: -55°C to 160°C. at 160°C > 1GΩ or 10MΩμF or whichever is less. 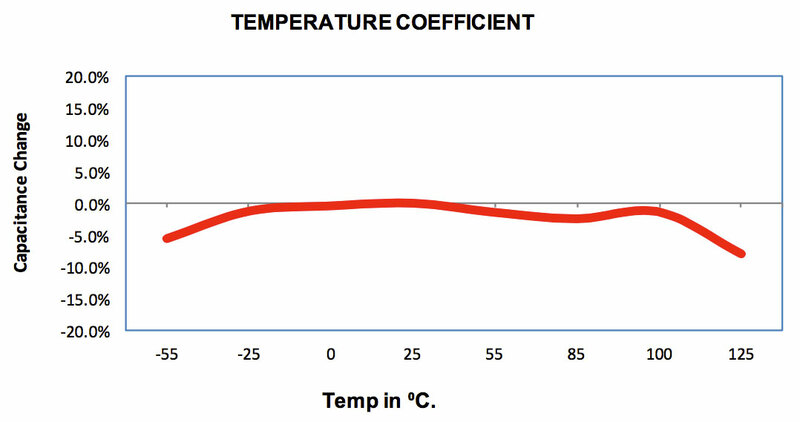 Operation Temperature Range: -55°C to 200°C. at 200°C >1GΩ or 10MΩμF or whichever is less.